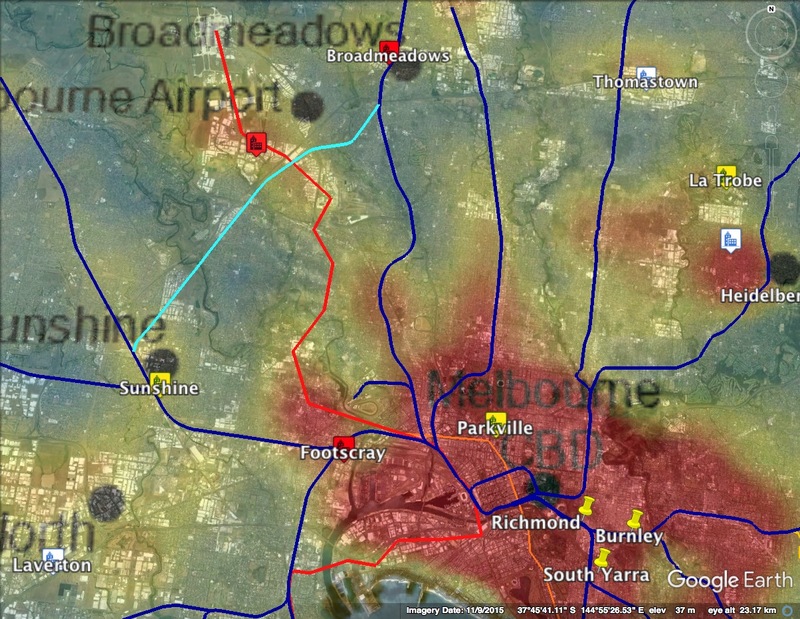 Daniel Bowen of the PTUA recently provided an excellent summary of the current scenarios for Melbourne airport rail, based on the existing AECOMM study. I recommend readers check it out HERE. Daniel concluded that the presently preferred alignment through the Albion freight corridor remains preferred because it kicks the maximal amount of goals for the broader network. I agree entirely with the basis of Daniel's assessment. 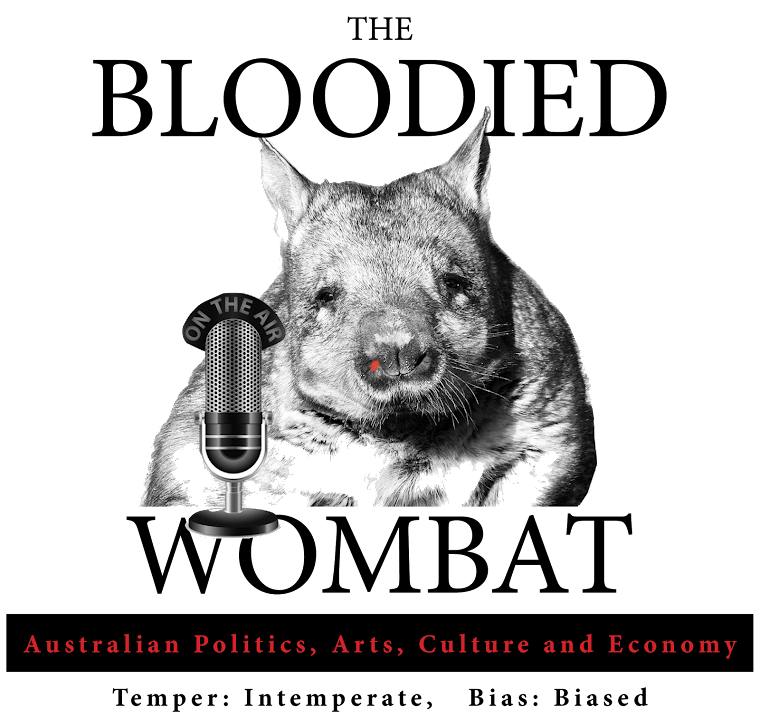 Readers here will be aware that we've previously suggested that alignment as a "two stage approach" to airport rail which would also link to an outer urban orbital rail tunnel. But I do fear Daniel dismisses to easily the new threshold problem we've been presented with. The problem of population growth in the west being so rapid that the new Metro tunnel won't have any capacity to carry any airport services. Daniel characterises the timeframe for its realisation as being "some time in the future", but it's not. It's a 15 year deadline from today. 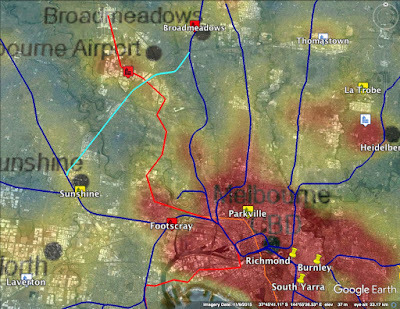 So without resolving that issue, we can't plan for airport rail to run via the Metro tunnel. We're building a future disaster otherwise. So, I've started thinking whether there might be another more blue sky alternative to all this. One that again goes more to the question of actual network needs rather than the feelgood factor of having a train to the airport. I'll quickly dot point the case again. The benefits of being able to get a train to the airport will accrue mostly as marginal time savings to business travellers. 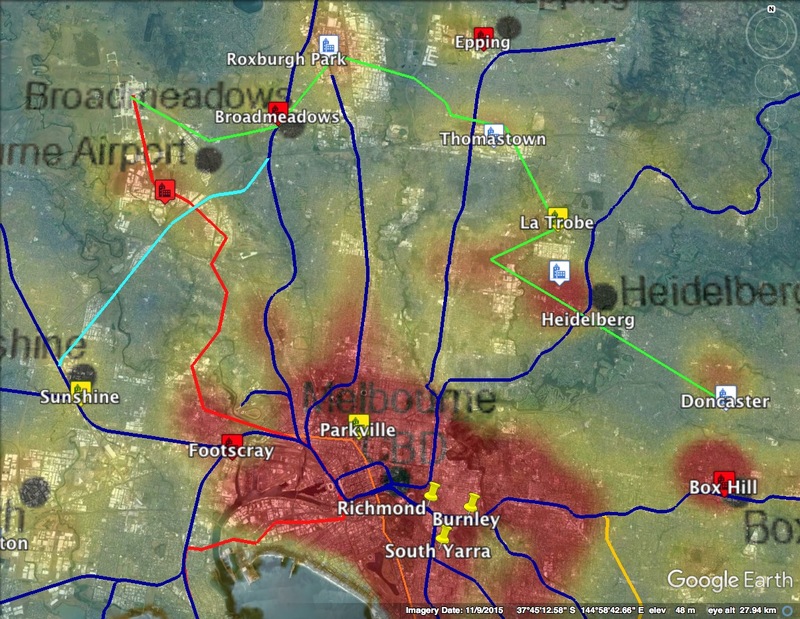 Building airport rail is going to have negligible impact on road traffic volumes on the Tullamarine. The Melbourne rail network's biggest issue in urban policy terms is its inability to service and therefore promote realistic suburban employment centers. 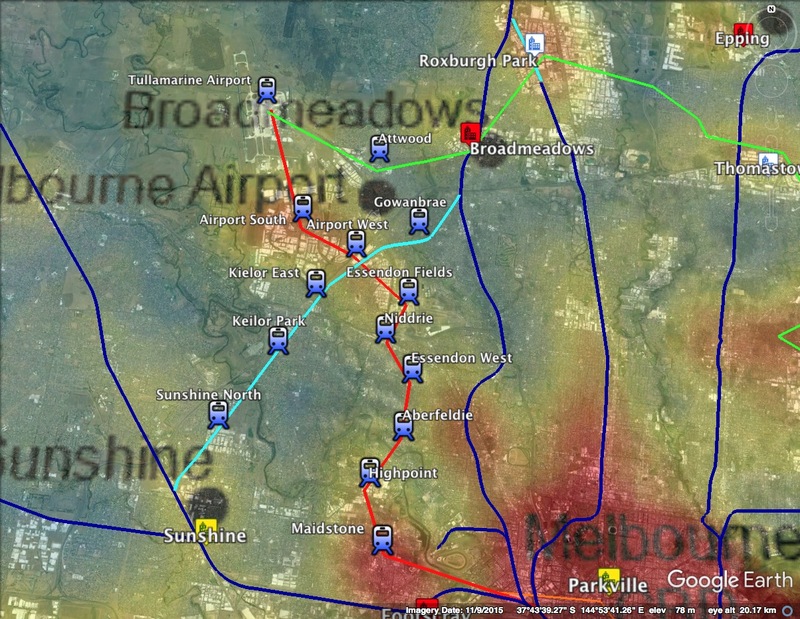 It is FAR more important to Melbourne that we get heavy rail to the Keilor industrial area south of the airport than it is to the airport itself. 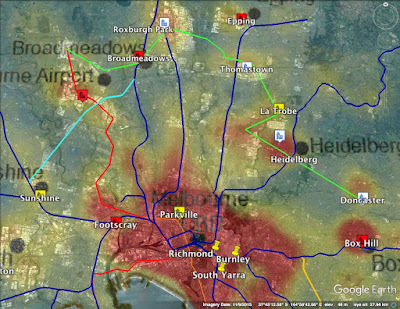 But if we're about bringing public transport opportunities to people who've never had them (and I am very much about specifically that), then whatever solution we derive needs to consider the Albion freight corridor runs through one of Melbourne's largest existing public transport blackspots. Most of the benefits that I would accrue to the Albion corridor option would come from the addition of new commuter stations along the route. Throwing a couple of other network issues into the mix, we're being continually told 'no' to Doncaster rail based on the existing cost-benefit work. But we're told 'maybe' on the same basis to a Metro Two tunnel Fisherman's Bend - Clifton Hill via either Southern Cross or Flagstaff, which would be stage one of any future Doncaster line. A new overground rail link through Webb Dock to Newport? Assuming the electrification of Upfield to rejoin Craigieburn, and capacity for both to extend to Wallan are accomodated, this would be a long run plan to run DOUBLE FREQUENCY services from the new growth areas in the north. 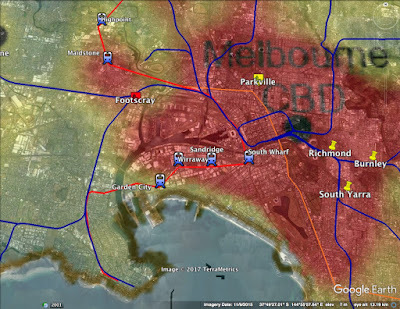 Your choice would be CBD via Broadmeadows or via Upfield. I still believe we urgently need to look at a meaningful plan for a third track on the Craigieburn line to allow for express services, as service frequency won't just be an issue for people in these greenfields estates. It's going to be a LOOOONG commute. 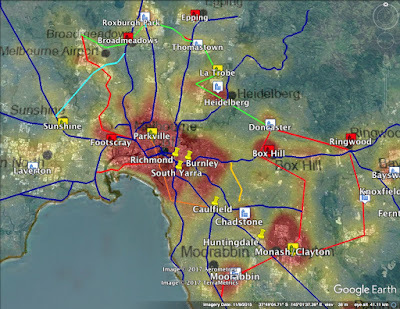 The ideal would be that we are also adequately creating suburban activity centres, so in fact these people are commuting more to Broadmeadows, and the various airport satellite employment centres that we'd be connecting to effective public transport for the first time ever, rather than the long radial trip. Regular readers know how cynical this observer is as to how serious the actual policy facilitating that is, however it must be said that a lot of excellent forward looking land use planning has been done for the zones around central Broadmeadows. If it's going to work anywhere, it's going to be here. But the idea would be "here we are planning for greenfields estates with rolled gold public transport services from the very day they arrive, rather than ten years after." And in a fantasy world, there's a simultaneous plan for 10 minute frequency feeder buses first train to last. Because the evidence from the new RRL stations seems to be very much if the service is good enough, people on greenfields estates have no difficulty with rail as a travel mode per se. But it must be an EFFECTIVE alternative to their cars. And it MUST be systemically planned for. The route eschews the publicly mooted option of going to Flemington racecourse, because once again, just like prior versions of airport rail, that option put the interests of wealthy people in zone one who read the Age ahead of actual demonstrable network needs. Why? Because it ignores the fact that there's a MASSIVE employment centre just up the road from Flemington in a place you've never heard of called Maidstone. And I'll make this statement in black and white. IT IS MORE IMPORTANT TO MELBOURNE'S FUTURE THAT WE GET RAIL TO MAIDSTONE. 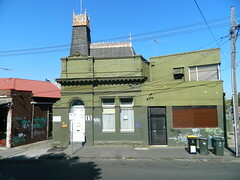 And Moorabbin. And Braeside. 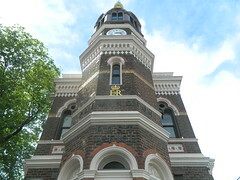 And Knoxfield. These are real places, real people work there in large numbers they have real needs, they pay the same taxes as you, but you get practically a one hundred per cent better, as in actually usable by you, public transport. So the locals will complain new apartment towers are going to make the trams more crowded. But there's an entire other Melbourne out there that doesn't have the option of getting a tram ANYWHERE. The optional stage three re-works my previous OUTER ORBITAL RAIL proposal. So the orbital route would run to TWO termini in the east - Airport or Albion, the latter replacing the above "shuttle". So. A NEEDS based network. One that goes to the maximum amount of workplaces and extends its catchment to the MAXIMAL number of people who've never had it either. It just happens to get us to the airport as well. And if you consider quieting the irrational clamour of the masses on that front a goal, well we've just kicked them all. This airport rail will help travellers to reach airport early and take their flight timely. I appreciate this post. An alternative course to airport by rail will travellers to reach the airport and this course may be a little bit shorter or longer.